Every eLearning course requires a reliable evaluation tool that will accurately, objectively and systematically assess its validity, efficiency and comprehensiveness, and consequently assist developers and instructors to fine-tune it, and make it more powerful and concise, if necessary. 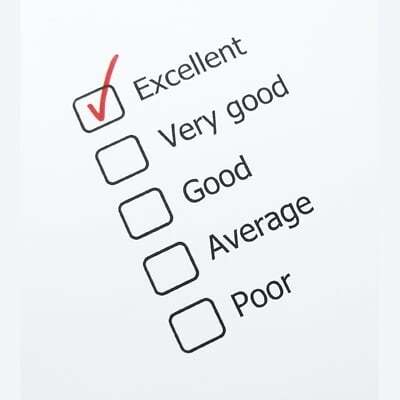 This tool should have the form of a checklist in order to enable reviewers to easily assess the eLearning quality and eLearning suitability of the course’s general scope, methodology, means, material, structure and potential outcome, according to the needs and requirements of the audience, as well as of the instructor. Are objectives stated clearly for the learner and do they include the conditions and criteria for the evaluation? Are the course requirements consistent with the objectives set by the instructor? Do chapters / topics thoroughly cover the course’s objectives? Do the learning objectives match the learning outcomes? Does the overall content and structure of the course meet its instructional objectives? Does the course have a concise and comprehensive overview or syllabus? Does the course include examples, analogies, case studies, simulations, graphical representations, and interactive questions? Does the course structure use appropriate methods and procedures to measure student mastery? Does the content flow seamlessly, without grammatical, syntactical and typing errors? Is the content aligned with the curriculum? Are the desirable outcomes incorporated in the content? Is the content in compliance with copyright laws and all its quoted material cited correctly? Does the course engage students in critical and abstract thinking? Does the course have prerequisites or require a technical background? Are the assignments relevant, efficient and engage students in a variety of performance types and activities? Are assessments fair, clear and effective? Are practice and assessment questions interactive and do they focus on the course’s objectives? Is the design clear and consistent, with appropriate directions? Are the images and graphics of high quality and suitable for the course? Is the course easy to navigate and offers assistance with technical and course management? Is the course navigation structure consistent and reliable? Are the course’s hardware and software defined? Is audio and on-screen text in sync? Does the architecture of the course allow instructors to add content, activities and extra assessments? Always remember to customizeThe above checklist includes the most basic parameters you should check before delivering an eLearning course. Needless to say that each eLearning course is different, each domain has different requirements and different audiences have diverse potentials and demands. This is exactly why you need to develop a new checklist for every course or for every client, or enrich this one with more specialized checkpoints. These elaborated checklists are essential for systematic reviewing, so that the desired outcomes can be achieved.